Hello guys, Today I'm here to tell the tricks to Boost Instagram Follower, Real Follower with the help of this and also increases popularity on Instagram. Social media has become the cheapest way to connect with the world and society, On Facebook, we can make a friend list but it is difficult to increase the followers on Instagram. Kali Linux VS Parrot in 2018 | Introduce ParrotSec Os | The next big thing which is better for learning ethical hacking? Now the tricks I'm about to tell you it is not a software or tool. This is all Instagram's Official Tips by which the real follower can be extended and always follow these tips. Instagram Follower is the first step to grow, optimizing Instagram Account i.e. After setting up Profile, set up Profile in Proper manner, such as Profile Picture, Instagram Bio and linking your website, Channel or any other account together. needed. Because when someone opens your Instagram account, first it looks Profile Picture and Bio, so it is very important to optimize Profile Picture and Bio. Not only Instagram, Daily Post is very important to increase the Follower on any Social Media Profile, and it also has to be careful about what time post is to Post with. According to me, if posted on Instagram on 8 am and 5 pm, you can get maximum engagement and get more Likes and Comments on post. What is the importance of "#" Hashtag on Internet, whenever we put #tag with a Word. So that Word becomes a Keyword and when you post a Video or Image on Instagram, use many Creative Hashtags so that your post can reach more people as it is the best way to grow Instagram Follower. Whenever we like Like or Comment on Instagram or any other social networking website. So it shows our Activeness and Instagram makes it possible to reach more and more people. To boost Instagram Follower, please post another post like with # tag. Instagram Follower is the 5th most important tips for growing, whenever you post on Instagram, set the location, Instagram sends its post to all the active instagram users of that location and increases likes and Engagement very fast and The follower is the most likely to grow. 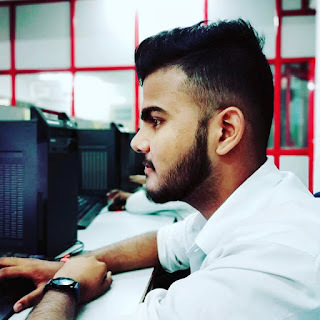 If you want to Boost Instagram Follower Rapidally, then Comment, Like & Post on all such topics which are in Trend and be Viral, because what is Viral on the Internet comes most in search and all Social Media & Search Engine Most of the topics related to Topic give preority to the first post. In this way, when you are posting related to Viral & trending topic, there is a possibility of growing the real follower of your account. How to increase Instagram followers by creating a Fake Profile? This trick is very interesting so that you can easily create Instagram and Real and Active followers and for that you do not have to use any tool or third party app, you just have to create an Instagram account. First of all, create a feck account on Instagram and the name of the account should be of any famous celebrity. And fill out his profile about completely and upload 5 -6 interesting images. Now you have to create active followers, then go to the official Instagram profile of the same celebrity. And follow the latest update image that has been liked. Follow the limit so that your account will not be blocked. Now the next steps will be for you to wait some time so that 75% of the people you have followed will definitely get you back. If you follow 1,000 active profiles then 800 users will follow you back. Now you have to unfollow what you have followed. For this, I will tell in the next post With which all instagram followers can be unfollwed with a single click. Do this trick for a few days when your follower are increasing, then you should change your profile name yourself so that your real name will be unlimited followers at the account. 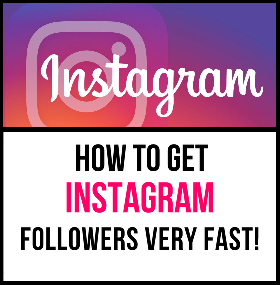 In this way, you can increase the Daily 1000 Instagram Followers, for which you have no risk, this trick is very simple, which I have devided in different steps and explain.